Happy New Years from CASA COOL BEANS!! What a year 2015 has been! We’d like to take a moment to express our appreciation for your business and for inviting us into your homes daily through our blog posts. We look forward to continuing to serve you in the coming year. We wish you only good things and all of the best for the New Year! 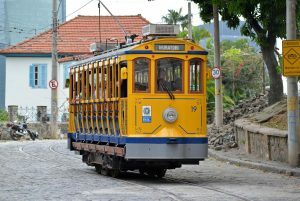 We’ve enjoyed watching the reintroduction of the bond tram system into various RIO neighborhoods all year. Now the bond has returned to Largo dos Guimarães. Read on for more details of this milestone in RIO transportation history. 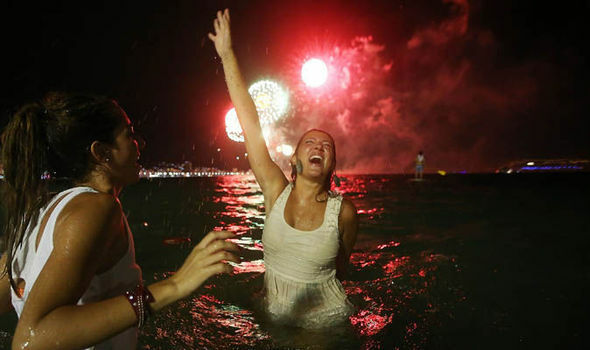 Is there any surprise that RIO tops the list for places to celebrate the New Year in style? Read on for the complete list! Brazil President, Dilma Rousseff has approved the elimination of visa requirements in anticipation of the Olympic Games and the following Paralympics. Attendees from select countries will be able to enter Brazil withut a visa for up to 90 days, concluding September 18, 2016. Read on for more details. Last week a report was released that estimates over 77,000 residents of RIO were removed from their homes between 2009 and 2015. 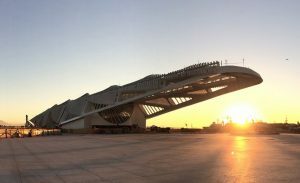 The city council argues that these evictions are justified by needs associated with the Olympic Games and plans for the city’s future. Read on to find out why others contend that the Olympic Games are being used as the “perfect excuse” for the city to recover valuable plots of land. 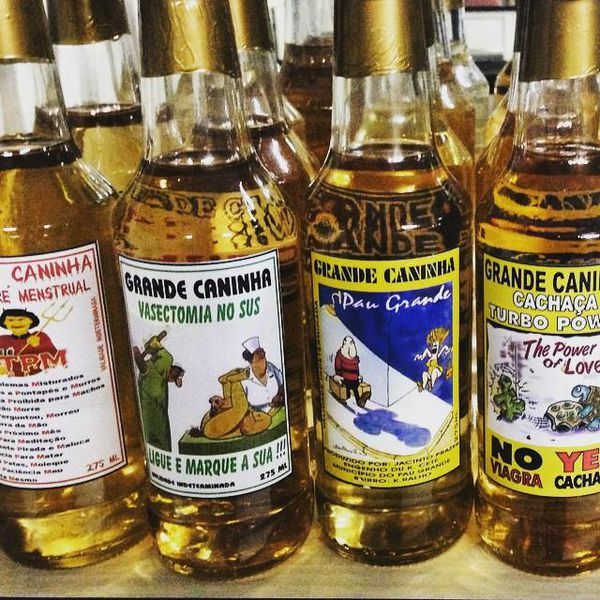 Check out this cool article containing all you need to know about cachaça, a spicy and sweet liquor that is Brazil’s most popular spirit–and which should not be labeled as simply “Brazilian rum.” Read on to find out where and how it’s made and why it’s showing up in more than just Caipirinha these days! São Paulo artist, Carla Chaim’s, Colapso de Onda (Collapse of the Wave) exhibition will remain on display at the Centro Cultural Banco do Brasil (CCBB) in RIO through January 4th. 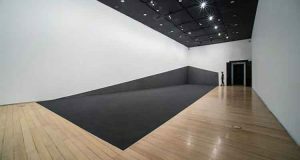 The exhibit is the last of the 2015 edition of the Prêmio CCBB Contemporâneo (CCBB Contemporary Award) 2015 – 2016 exhibition series. Check out the full article here! …Tomorrow! Beginning December 19th, the public will have an opportunity to explore 5,000 square meters of exhibits dedicated to science and technology. Just as awesome as the museum content is the building housing the exhibits themselves and the RIO Centro landmarks visible from inside the structure. Read on! RIO will rock in 2016 with the biggest FREE outdoor party in the world. 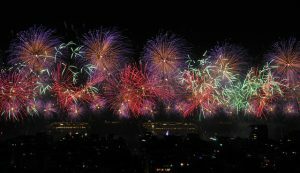 The extravaganza will include a 16-minute fireworks display and tunes from acclaimed Carioca singer, Jorge Ben Jor. Check out the RIO’s 2016 New Year’s Eve Program Announced for more details! 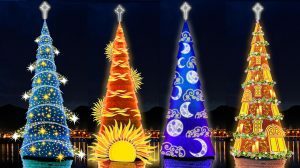 If you missed the display, here is a video of RIO’s floating Christmas tree being lit and celebrated with fireworks over the weekend. Check it out!